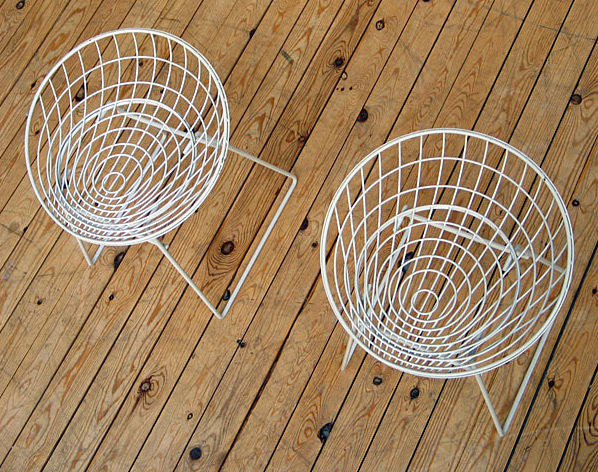 2 enameled steel stools with white steel-wire welded shell, and steel rod leg frame. Designed by Cees Braakman for UMS-Pastoe 1958. 2 tabouret blanc en fil d'acier tresses et piétement en forme carré. Conçu par Cees Braakman pour UMS-Pastoe 1958.